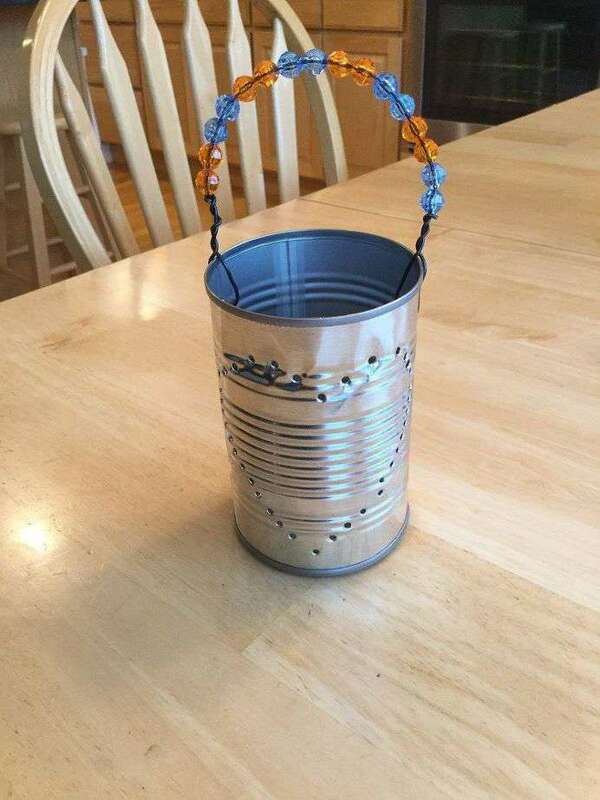 Here is an easy and inexpensive way to create lanterns from cans just in time for summer! 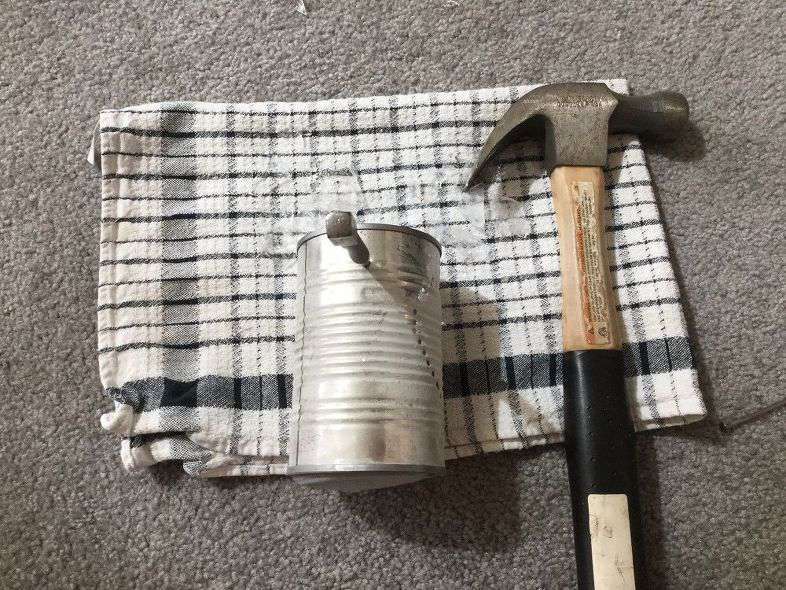 Fill your can with water. Place in the freezer over night to freeze the water. 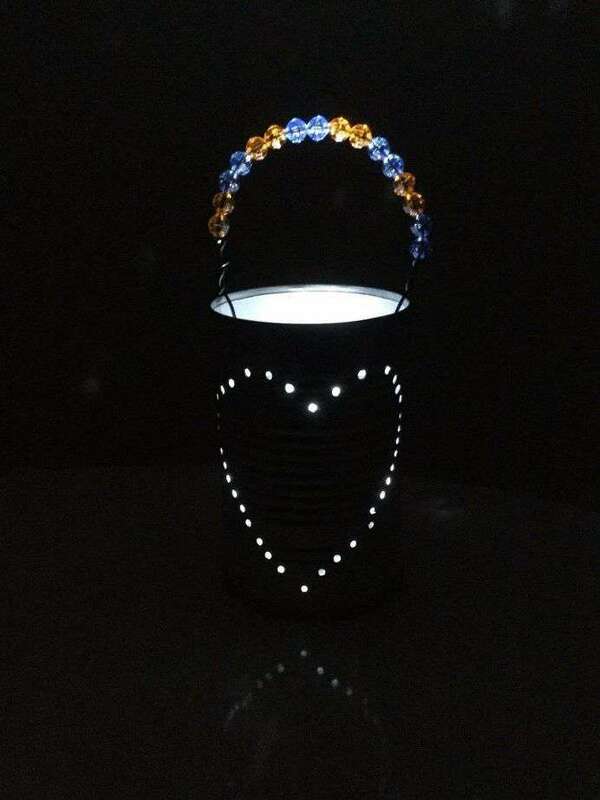 Decide on your lantern design. 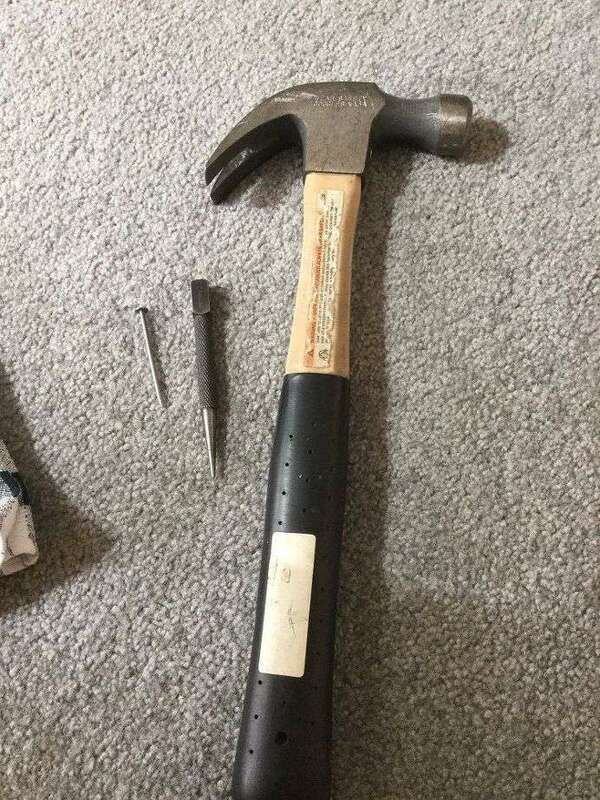 You’ll need a hammer along with a nail or punch to make your holes. 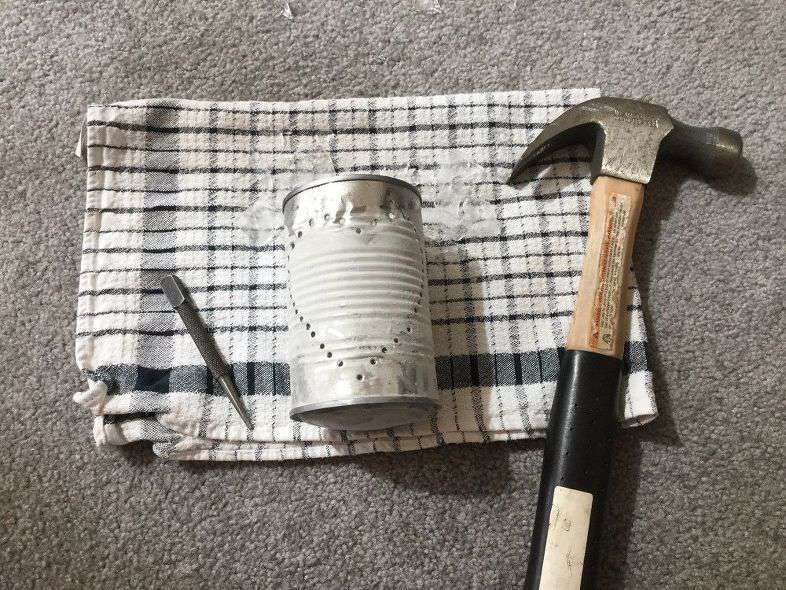 Pound the nail or punch through the can into the ice. You only need to go far enough to go through the can. 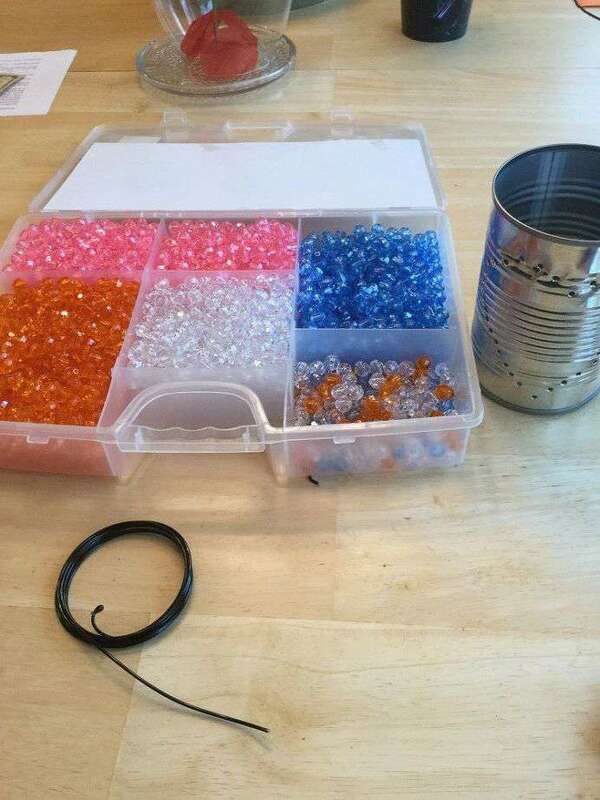 Continue making holes in your can to make your design. 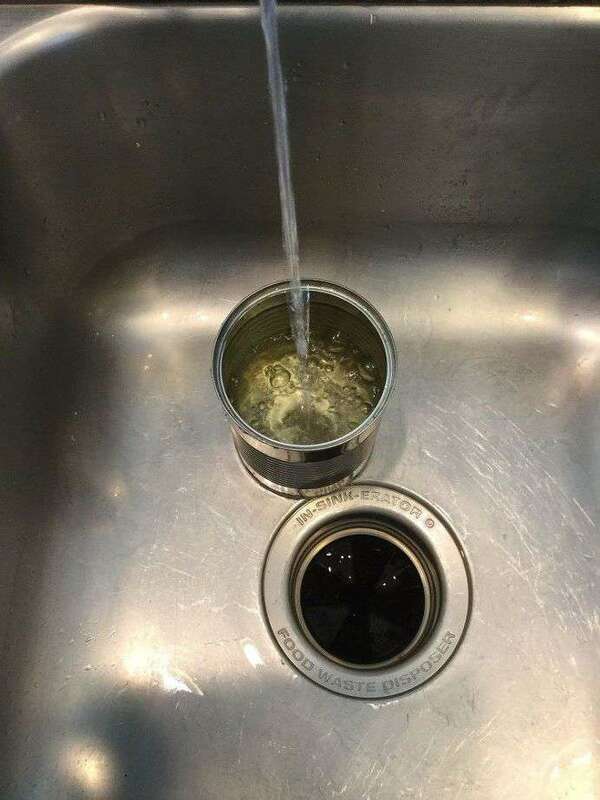 Once your done, place your can upside down in the sink and let the ice melt out. 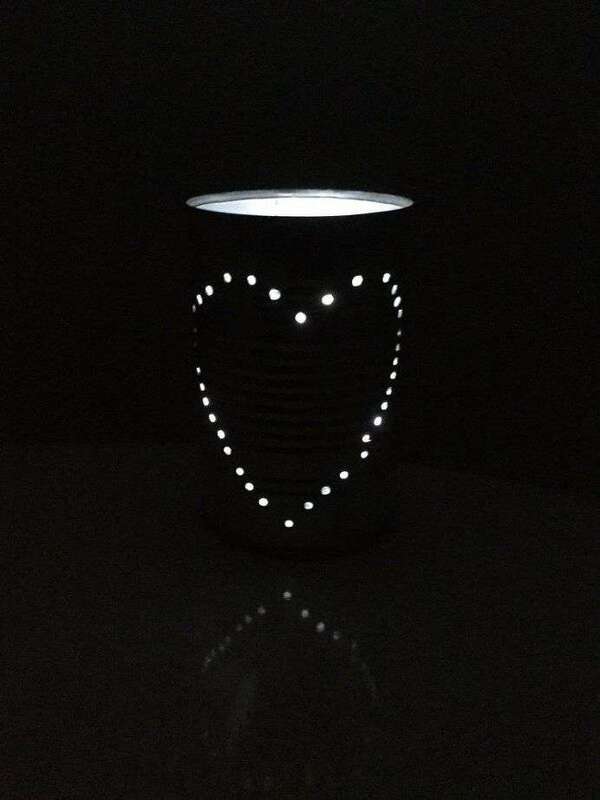 Add a candle, led light, or solar light. 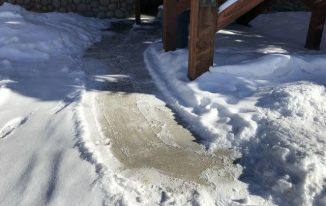 If you’re adding the handle – before you let the ice thaw out, poke 2 more holes on either side where your wire will go though. You’ll need some wire to make the handle, and you can add some beads for beauty. Poke your wire through the hole and twist the end. 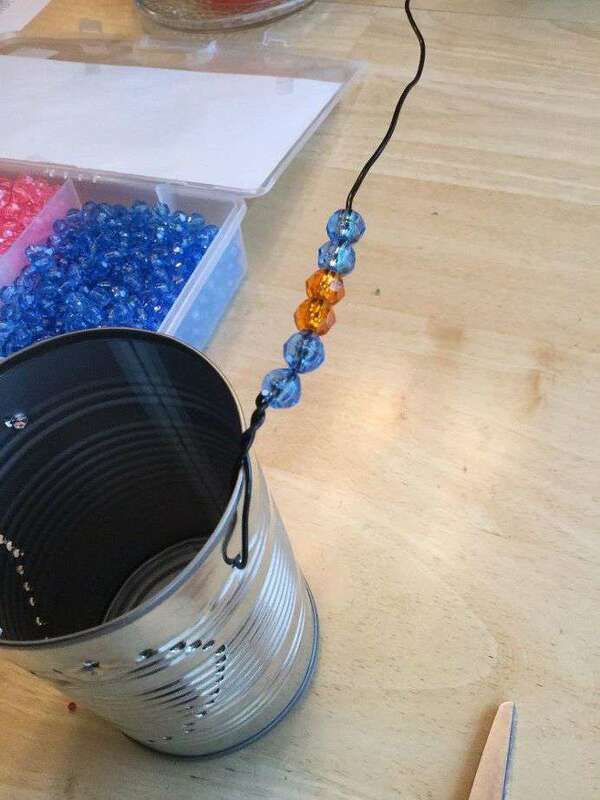 Add beads onto the wire. Once your have created your desired handle length poke the other end of your wire through the can and twist the end. 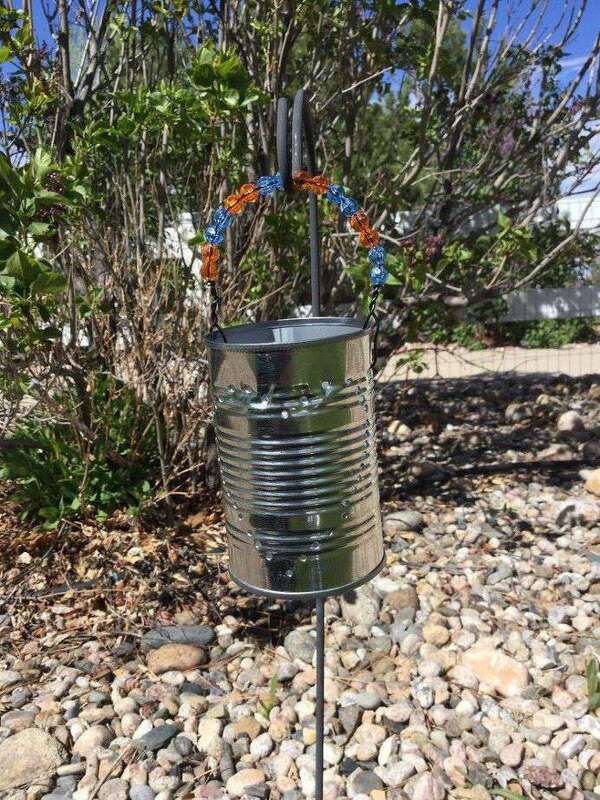 Hang your can on a garden hook, tree, or fence outside. I really like the way the beads glow. Older kids can make these too. I learned how to do this when I was a kid in girl scouts. Subscribe to my blog you’ll be signed up to receive FREE subscriber exclusives!!! 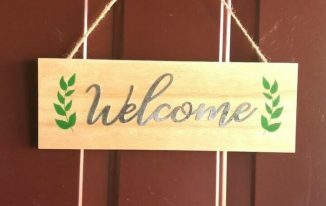 As seen on Hometalk – click here to see the video! From Candle Holder to Solarabra! 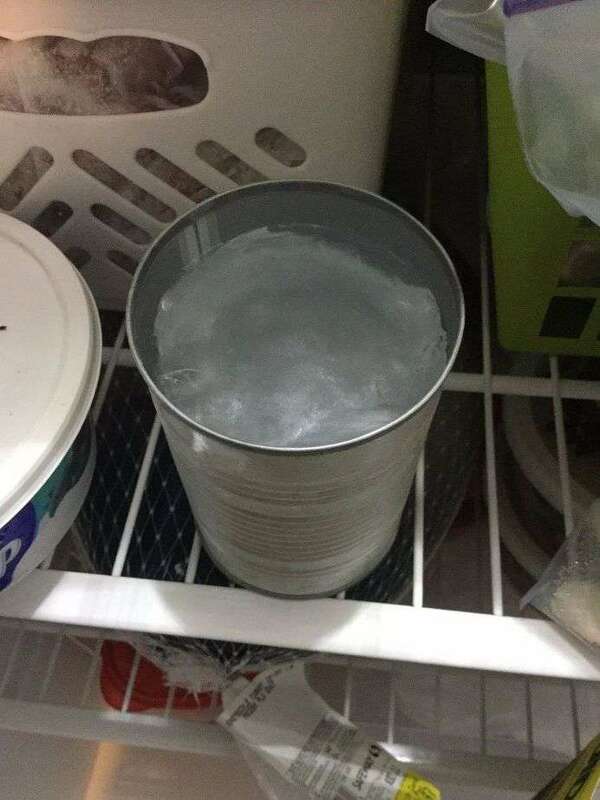 I would have never thought to freeze water in the can first. 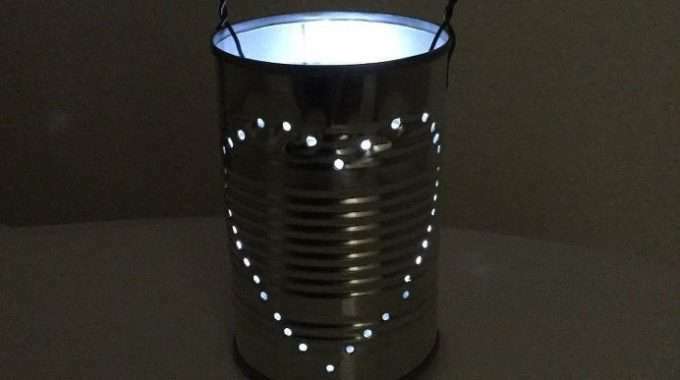 I am going to be saving some cans for this project. This is a good one. I’m pinning this to do with the kids this summer. 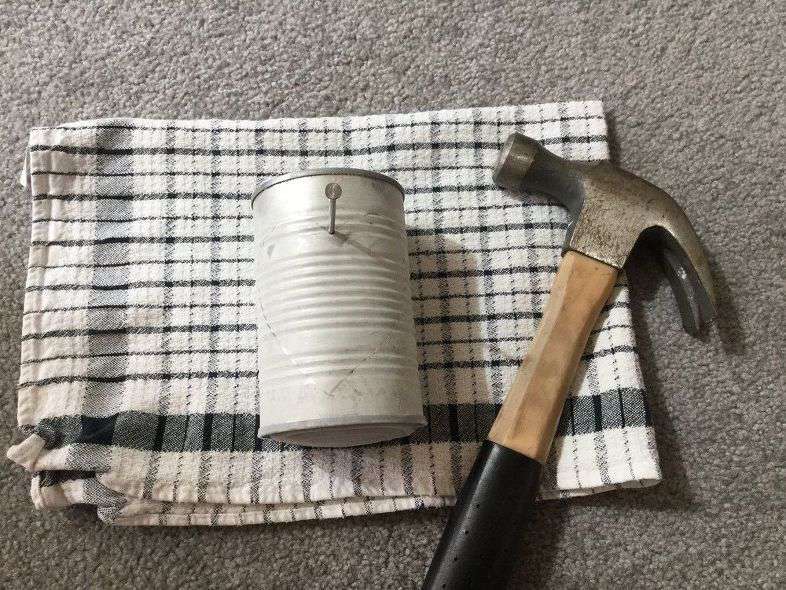 Now somebody needs to eat a can of beans first! LOL! Thank you and I’m so glad you want to do it with the kids too! So true, you always just recycled the cans when you come up with an idea you need them for – lol. 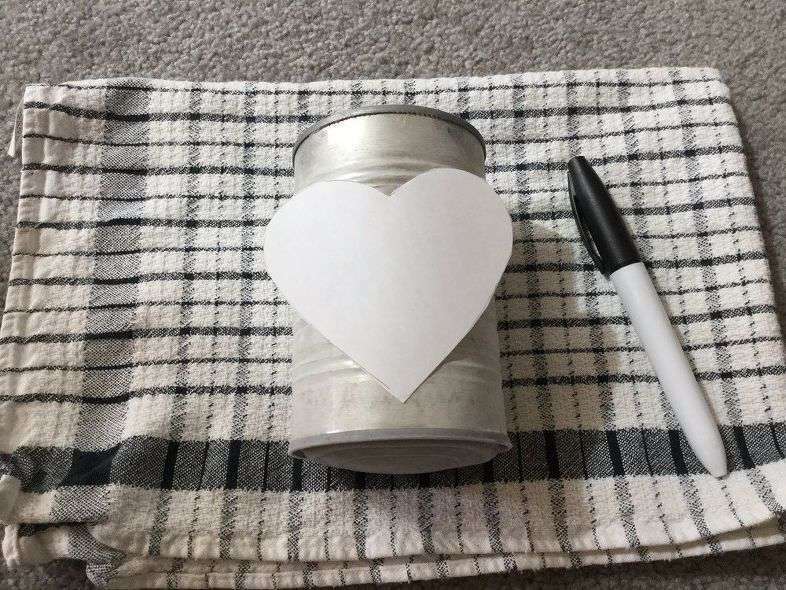 I love your can. I have done some but never painted them, not sure why. Stop by Thursday Favorite Things since you are one of my features. 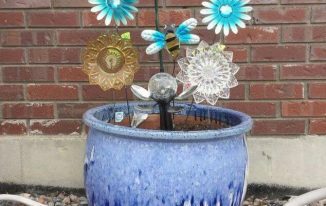 Thank you so much Bev and thank you for the feature. I look forward to partying with you again this week!